It is important to become clear about your career purpose by examining your noblest of passions, your natural talents, your strengths, the contributions your soul yearns to make, and who you hunger to become. We help you to transition to having a clear purpose to creating and marketing products / services to help you make your purpose and vision a reality. You can’t excel if you have a job or career where you are only focused on just surviving or making money. Unfortunately, most people get into a survival mode and lose sight of any effort of really making a difference. You leap forward and get excited when you are able to find and focus on a career/business purpose that deeply inspires you. The right purpose gives you energy, passion and persistent determination. As you pursue it on a daily basis, doors will begin to open and momentum build. If you think about it, when have we as a society benefitted most? It was when an individual or a group of people passionately and persistently focused on resolving a painful problem and/or achieving a vision. George Washington and others who were the founders of the United States struggled with England’s control, had a powerful vision of a free country and people, and pursued that vision against the strongest military in the world. Abraham Lincoln had a vision where every person could enjoy freedom and individual rights. But, can businesses also focus on important cores issues or opportunities and make an important difference? Clearly the answer is “yes.” Consider the inventions and innovations in communications technology. In 1450, Joannes Gutenberg developed the printing press. His invention is widely regarded as the most important event in history. It spread learning to the masses. 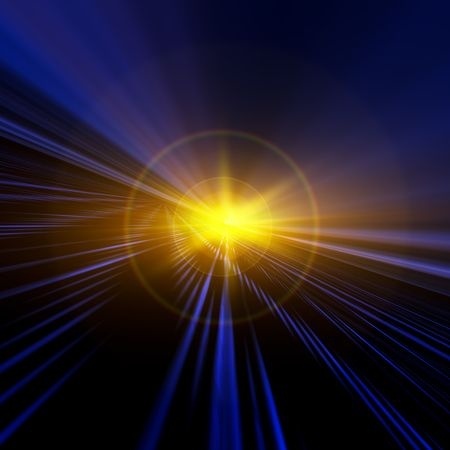 Consider the inventions of telegraphic, phones, radio, television, communications satellites, personal computers and the internet. Each one of these inventions led to major changes worldwide. A new study from Deloitte confirms that organizations that focus their energies beyond pure profit do better than those without a “culture of purpose.” Ninety percent of those who believe their organization has a strong purpose also report that their organizations did well financially, has higher customer and employee satisfaction levels. However, the survey also reveal that most employees don’t believe that businesses are doing enough to create a culture of purpose. For almost every problem and in almost every area field there are opportunities to both make a significant difference and to develop a successful business. One of the important benefits of developing your own business vs. working for someone else, is that you have a greater opportunities to be truly objective and provide more value. Most organizations are ripe with politics and internal agendas and despite the rhetoric they are not really focused on making a substantive difference. The most productive ways to both make a significant difference is to start by identifying the problem or opportunity and working backwards. In other words, for a given problem ask yourself, what are the root causes and interventions would best solve the problem and is there enough economic opportunity for you to make a good living? Let’s say we are focused on the unemployment problem. After carefully reviewing and researching root causes of the issue we might conclude that economic development, ongoing motivation and training are the key solutions. So, could you establish a consulting business to help local, state and national leaders develop successful economic development programs? Or, could you build a mentoring and training program to address the internal motivation and training issues? You might argue that government programs already exist to help with unemployment. Are the programs effective? The answer might be yes in pockets, but overall the problem still subsists. Could you become an expert in best practices, and train/consult with government, education, non-profit, community and other organizations to help them in effectively address the issue? Could you develop programs to help these organizations in this area? Let’s focus on the even more allusive problem of poor US and Middle East relationships. Let’s assume you are deeply familiar with the cultures, past and current policies, and that you understand the root cause of tensions and want to focus on creating substantially improved relationships. Like with example above, you could establish a consulting business and work with government-sponsored agencies, foreign governments, international businesses, non-profit organizations, development banks, and so on. 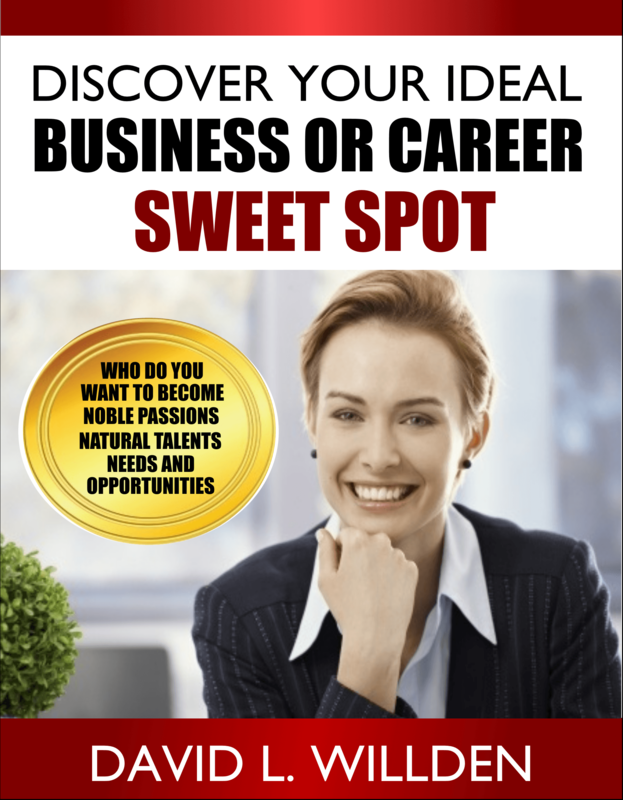 This quick and easy-to-read guide will help you to stop spinning your wheels and begin to find your business or career sweet spot.